Welcome to SAP NetWeaver Tutorials. The objective of these tutorials is to provide in depth understand of SAP NetWeaver. In addition to free SAP NetWeaver Tutorials , we will cover common interview questions, issues and how to’s of SAP NetWeaver. SAP NetWeaver supports several technologies like Microsoft .NET, Oracle Java EE, and IBM Web Sphere for customizations and other extending processes for customers. So the customers can use their current IT infrastructure for using SAP and they don’t need to invest more for IT infrastructure for their SAP implementation. Using NetWeaver and organization can improve their operational efficiency and can make faster decision making by accelerated business information access. Smooth end-to-end business and high process quality and efficiency are also some advantages of NetWeaver Platform. Netweaver makes possible access of SAP data using simple http protocol or even mobile . This eliminates the need of installing and more importantly training in SAP's client side software. The core capabilities of SAP NetWeaver are the integration of people, information, and process. -Business Intelligence:- It provides you with reliable tools for creating individual and interactive reports and applications. -BI Content & BI Content Extensions :- Enables quicker implementation using pre-configured role and task oriented information models in SAP Business Intelligence. -Knowledge Management:- Allows common access to unstructured information and documents in a distributed storage landscape like Search,Classification,Subscription,Versioning,etc..
-Search and Classification (TREX) :- Provides SAP applications with numerous services for searching, classifying, and text-mining in large collections of documents (unstructured data) as well as for searching in and aggregating business objects (structured data). With SAP R/3, SAP ushers in a new generation of enterprise software — from mainframe computing (client-server architecture) to the three-tier architecture of database, application, and user interface. Presentation servers contain systems capable of providing a graphical interface. Application servers include specialized systems with multiple CPUs and a vast amount of RAM. -Application Layer is also known as Kernel Layer and Basic Layer. -SAP application programs are executed in Application Layer. -Application Layer serves as a purpose of a communicator between Presentation and Database Layer. -Application server is where the dispatcher distributes the work load to the different work processes makes the job done. Interested in mastering SAP NetWeaver Training? Enroll now for FREE demo on SAP NetWeaver Training. Database servers contain specialized systems with fast and large hard-drives. -Data store can be Business data, SAP system data, SAP tables, Programs. -Examples − Oracle, Microsoft SQL Server, IBM DB/2, Siebel, Sybase, etc. In three-tier architecture, SAP Gateways make up the middle or application tier. This middle layer is essential for communication between the frontend and the backend. The use of multi-tier architecture to implement a data processing system adds a valuable level of modularity and flexibility to the system by being able to develop and maintain each tier individually. 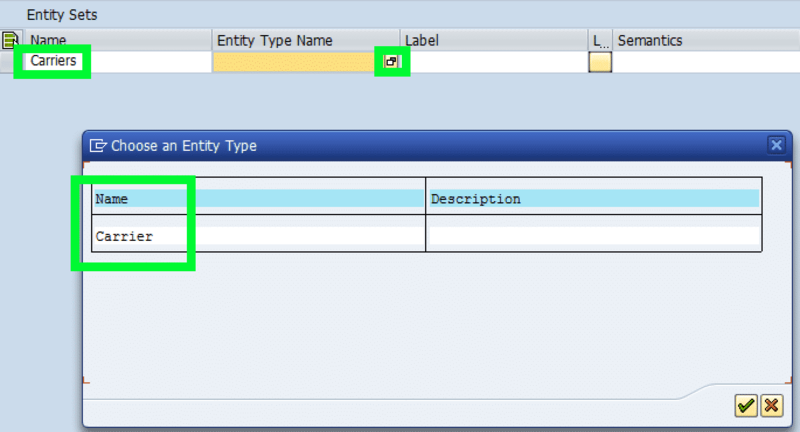 The purpose of this tutorial is to create a Gateway that will extract data from the flight carrier database table, which will be accessed from the Gateway Client. The Gateway will be able to retrieve a list of carriers as well as individual carriers. Let’s get started. -Save the project and assign it to the appropriate package. For the purpose of this demo the project will be saved as a local object ($TMP or click the button “Local Object). The Gateway project has now been successfully created. What is an Entity and Entity Set? An Entity is a structure that can be defined by the user or defined as an ABAP Data Dictionary structure. An Entity Set is simply a collection or table of Entities. SAP NetWeaver includes a comprehensive set of components, applications, and tools. It supports platform-independent web services, business applications, and standards-based development, enabling you to leverage existing technology assets for Web-services-oriented solutions. It enables you to integrate data from across the enterprise and transform it into practical, timely business information to drive sound decision making. It enables developers to create applications that link business users to SAP software from any environment and through any device. It ensures cross-system data consistency and helps integrate business processes across the extended value chain. It helps improve processes, from simple workflows to integrated processes that span applications and organizational boundaries. It includes capabilities for business process management, business rules management, and process integration. It unifies critical information and applications to give users role-based views that span the enterprise, enabling you to take full advantage of your information resources. It gives you all the capabilities you need to integrate all automated sensing devices including RFID readers and printers, Bluetooth devices, embedded systems, and barcode devices. It addresses access and provisioning issues facing a typical enterprise. It creates a new opportunity for integrating business processes, and helps you to integrate systems in a heterogeneous IT environment. It allows you to archive data in a readily accessible format according to regulatory retention rules that you define. It provides a central point of control for assigning computing resources and optimizing their use. It provides a robust environment for design, deployment, and running of composite applications that comply with a service-oriented architecture. It offers a convenient user interface and rich functionality for developing J2EE applications. It simplifies the creation of portal content and analytics applications, enabling business analysts to build or customize applications using a visual user interface rather than manual coding. It facilitates technical support for distributed systems with functionality that covers all key aspects of solution deployment, operation, and continuous improvement.